There are a lot of ideas to blend two photos into a single photo. 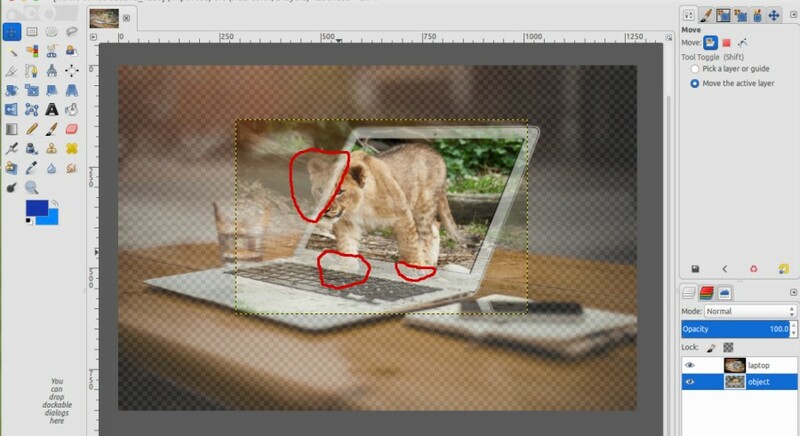 If you have a photo of laptop, you probably want to blend it with certain object as if the object pops out of the laptop screen. 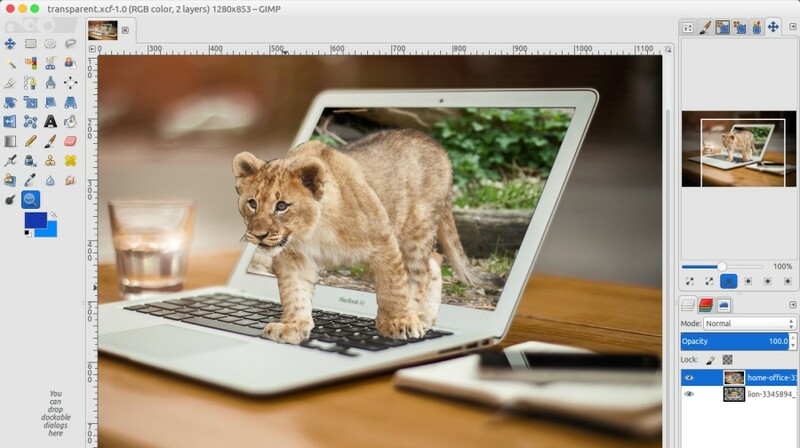 In this GIMP Tutorial, I am going to demonstrate how to create that sort of photo blending. In this tutorial, you will be spending the vast majority of your time using the Paths Tool. 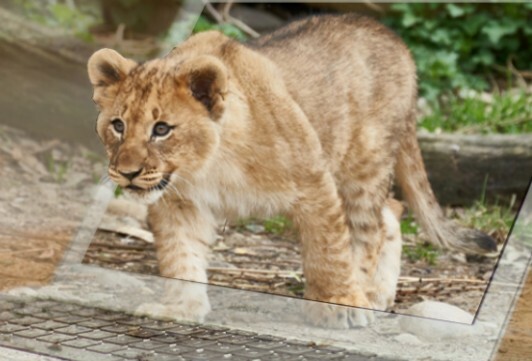 You will use the Paths Tool to select some parts of the laptop photo and remove them. Also, you will use it to select screen part of the laptop to make it transparent. If you curious about the end result of this tutorial, you can scroll down to see the result at the end section of the tutorial. 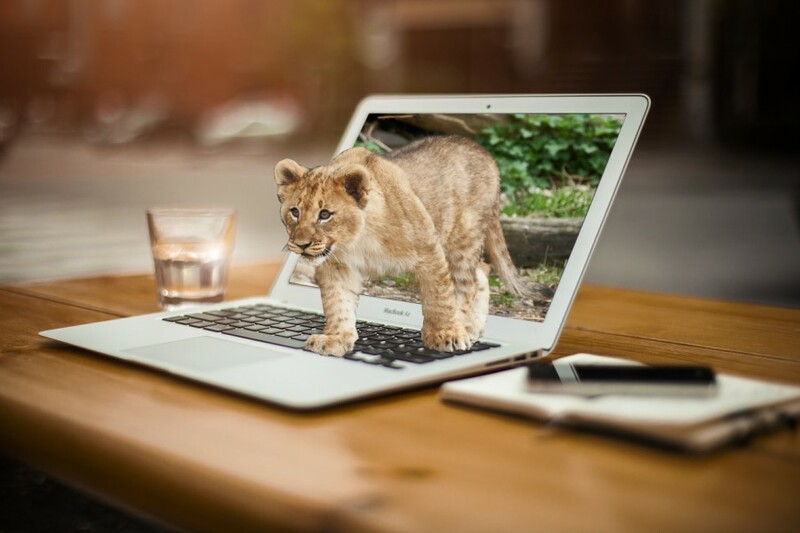 Before getting started, you need to prepare two photos: a laptop photo and an object photo you want to blend with the laptop photo. Launch GIMP and open the laptop photo by going to File -> Open. To ease your job, rename the layer to something like “laptop”. Go to Layer -> Transparency -> Add Alpha Channel. With the Paths Tool selected, select the screen area. You can zoom in the photo (especially on the corner areas) to get a more detailed selection. Your purpose is to clear out the screen. Once you are done with the selection, go Select -> From Path. Go to Edit -> Clear and you should get the screen area removed like the following. Go to Select -> None. 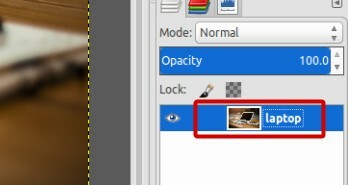 Open the object photo as a new layer by going to File -> Open as Layers. Rename it to something like “object”. 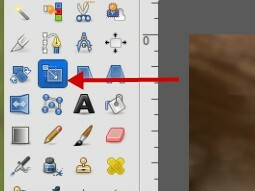 Move the object layer down below the laptop layer. 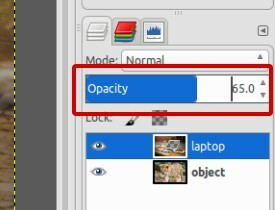 Select the laptop layer and set its opacity to about 65 or lower. The purpose is to make the object layer visible. Switch to the object layer and click the Scale Tool on the Toolbox panel. With the Scale Tool selected, scale the object layer. Also set its position using the Move Tool. Once you got the perfect position and scale, select the laptop layer and click the Paths Tool on the Toolbox panel. This time, you are going to remove the laptop parts that are covered by the object’s body. In this case, there are three laptop parts we are going to remove. The one covered by the half-face of the tiger, its left foot and its right foot. With the Paths Tool selected, selected the first area. 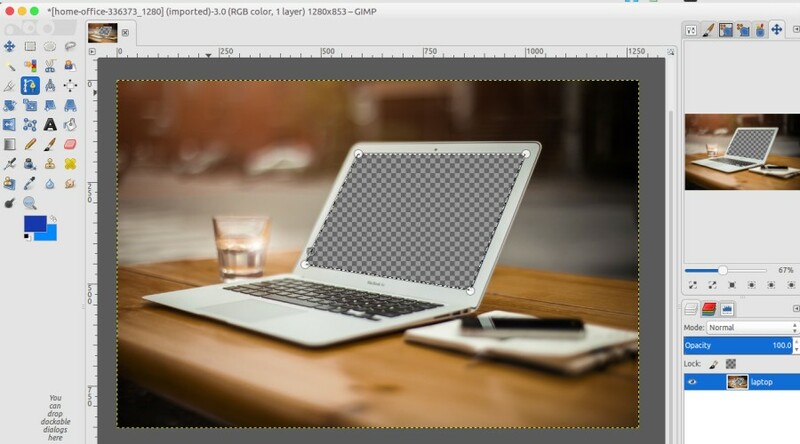 If the laptop image is not visible enough, you can increase the opacity of the laptop layer. Again, you can zoom-in the object to get a more detailed selection. Following is the example of the selection process. Once you are done with the selection process, go to Select -> From Path. Go to Edit -> Clear. Following is the example with the half-face of the tiger removed. You can use the same method to remove the laptop parts that are covered by the left foot and the right foot of the tiger. Once you are done, go to Select -> None and increase the opacity of the laptop layer back to 100. That’s it. Following is the final result of this tutorial. The example below is not too smooth. The key is in the selection process. To get a smoother result, you can take more time on the selection process.